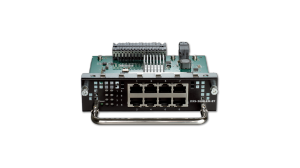 As well as an extensive range of switches, D-Link has a wide range of modules and accessories to help put the finishing touches to your network solution. 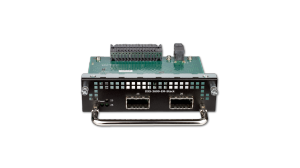 The DXS-3600-EM-8XS expansion module provides an additional eight (8) 10GbE SFP+ ports for the DXS-3600-16S and DXS-3600-32S managed switches. 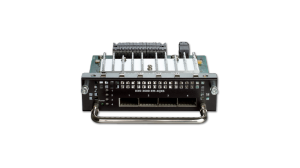 The DXS-3600-EM-4QXS expansion module provides an addtional four (4) 40Gbps ports for the DXS-3600-16S and DXS-3600-32S managed switches. 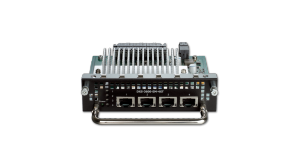 The DXS-3600-EM-STACK stacking module provides 2 x 120G CXP ports for stacking the DXS-3600-32S managed aggregation switch. 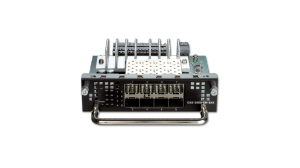 It must be used in conjunction with DEM-CB50CXP 50cm 120G CXP stacking cable.